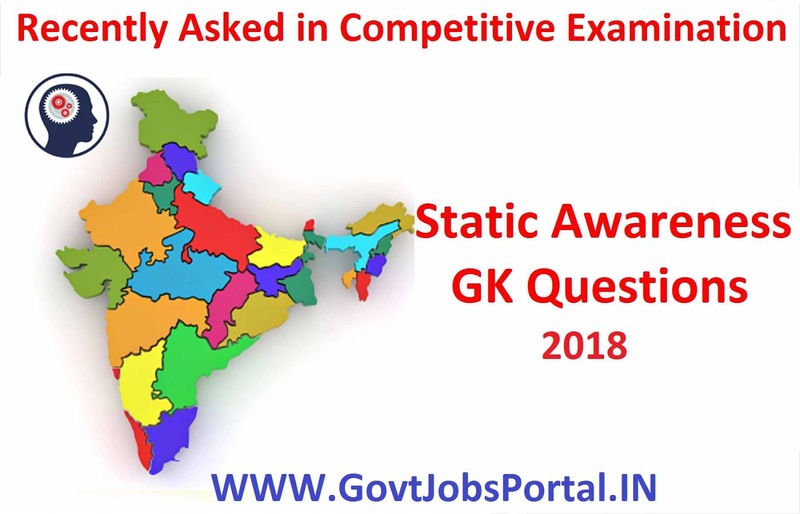 Hello dear students today we are going to share some question related to static gk, which are recently asked in banking examination 2018. This is very important to have a basic awareness of history, geography, political and economic theories linked with the actions that are incident around us. Except one keeps himself side by side of the historical background or the geological location of events reported, they will express little of the value of significance. The questions based on the Static GK Awareness are basically related to the following: countries, events or any other such things that has been in trending news for a while. Now in this article we are going to share some Static GK Question based on latest events. These Static GK Questions are very important for all upcoming competitive examination 2018. Question1. The Pulitzer Prize has been named after ____________________. Explanation: This is an award for is given for the achievements in magazine, newspaper and online journalism, literature, and musical composition in the USA. 1917 is the year in which this award was established. Joseph Pulitzer made his destiny as a newspaper publisher, and is administered by Columbia University in New York City. Question2. Name the Governor of Karnataka? Q3. Where is the Headquarter of Bandhan Bank in India? Explanation: Bandhan Bank Ltd. Is in the top 50 brands in India. It’s Headquarter in Kolkata, West Bengal. Firstly Bandhan, is started as a micro-finance company in the year of 2001, after that they received an official banking licence by Reserve Bank of India in 2014. Question4. NCC is one of the main organization under Government of India, When was NCC established? Explanation: NCC is stands for “ National Cadet Corps”. Its headquarter is at New Delhi, Delhi, India. NCC is open to school and college students on voluntary basis all over India. NCC is a Tri-Services Organization; it comprises of the Army, Navy and Air Force. National Cadet Crops in India is formed under the act of National Cadet Corps Act of 1948. NCC was raised on 15 July 1948. Question6. United Kingdom recently joins International Solar Alliance. Headquarter of ISA is located at ? Question7. We celebrated 8th April as a World Heritage Day worldwide. What is the Name of DG of UNESCO? Question8. IMF is stands for “International Monetary Fund”. What is the Name of Managing Director of IMF? Question15. Who is governor of Assam State ? Question10. Who is Commerce and Industry Minister of India ?